Forex is the most widely traded market in the world, with more than $2.57 trillion worth of trades being funded every single day. Short for foreign exchange, Forex is the act of changing one currency into another, either for tourism or commerce. Forex trading is similar to traditional stock trading as they both operate around the basic concept of buying and selling to turn a profit. However, rather than shares and stocks, the underlying asset is currency. Forex markets are the largest in terms of trade volume and operate 24 hours around the clock. The fundamental concept of trading Forex is that not all currencies were born equal. $1 doesn’t hold the same intrinsic value as £1, this is due to the fact that currencies float freely against each other meaning that the value of each currency varies greatly. This is where you can make your money. In lay man’s terms, the key to success in both Forex and Binary Trading is positioning yourself so that losses are to a minimum and harmless, whilst profits are maximized and frequent. Trading success tips boils down to being humble as well as patient, cutting your losses short, and letting your profits ride. But, that is just like telling a football team to go score and not concede. The nuances and intricacies of any form of trading is where the money is won or lost. When it comes to Forex trading, just like CFD trading, currencies come in pairs. You bet/trade on the fluctuations within the value of the individual currencies in comparison to its partner. You have the option to both buy and sell a currency pair enabling you to make a profit regardless of how the pairings value moves. For example, if a trader believes that GBP will strengthen against the USD, he or she would then purchase the currency pair. By doing this, the trader effectively buys GBP whilst simultaneously selling USD in the expectation that its value will increase. If they get this right, the trader’s profits will rise in line with every increment (pips) the exchange price increases. On the other hand, if the trader is wrong and USD strengthens against GBP, the price will fall and they would be in loss. With each pip below the opening level, the position falls and increases to a greater loss. Similar to stock market timing signals, traders use financial data to receive tips on when to trade. Even with the best Forex trading tips, the market comes with significant benefits and risks. On one hand, it allows you to win many times your initial stake. However, you can also lose many times your deposit. The fact that it allows you to wager much more cash than you pay up front invokes risk. If you do not remember all the Forex trading tips below, remember that it is not obvious how much money you could stand to lose. As a result, a top tip would be to track your potential loss, or risks, carefully. Otherwise, Forex trading can have a strong element of danger financially. Then once you have put these Forex trading tips to good use, taking the next step will help to secure your success. Make sure that you take the first ten trades, take note of how many you lost and how many you gained. Then, use this equation to determine what your long-term return will look like. E stands for expectancy, or the return percentage on each dollar invested. So you are going to want to plug your wins, losses and win ratio, or P, into the equation. Then all you need to do is solve for E. Once you have done this, you will be able to determine whether you have a good strategy or if it needs some adjusting. Use this formula to trade like a Forex pro at Owl Creek asset management. Choosing a Forex broker is one of the most important decisions when you are about to start trading Forex. 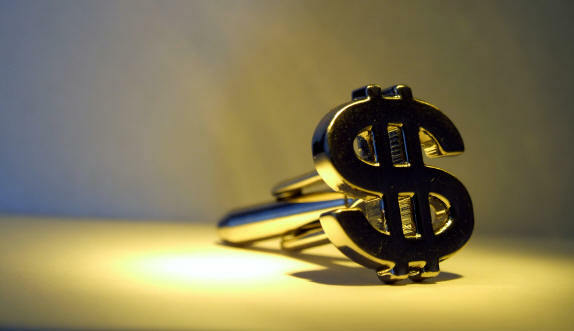 You should not just look for the absolute best Forex brokers money can buy, like Cleartrust. You should also consider you own personal trading goals. Also consider the time frame of your investment goals. Factoring these into your broker decision will help you become a successful Forex trader. Forex trading has caused large losses to many inexperienced traders. For all of its tips, stats, numbers, ratios and charts, trading is much more of an art than a science. As with anything, talent is undeniably is an important business success factor. But, at the end of the day it will only get you so far. Like in anything else, top Forex traders hone their skills through studying tips like these, practicing their positions and learning from experience. Ultimately, the key elements to successful Forex trading tips are discipline, analysis and the ability to control your emotions while functioning under pressure. If you can master these Forex tips, you will be on your way to a successful Forex trading experience. Nice information. Thanks for sharing this with us. It is very useful for those who want to start trading. But if you are a beginner in trading i suggest you only to trade with single currency system which you know better. And try not to fall for fake promising currency trends.